Children will always love a Luna Park. Gives them emotions, excitement, amazement and happiness. Each ride is different, it is fun and they will want to never end. Riding on a big and happy lion it will not only be a fantastic ride but will also gives you the pleasure to relish most funniest face expressions on your kids. When I discovered Arizona Luna Park I was very happy, as my children love the rides and spending time outside, to play, especially late afternoon. In Limassol we can enjoy now the long opening hours of the Arizona Luna Park especially now when the heat send you to bed at late hours. This is a place for everybody: parents, grandparents, children, toddlers and babies will enjoy it. First of all, the park welcomes you with a very large parking place next to main entry. This will make it easy getting down from the car if you have more children. Parents or grandparents will be able to relax, they can choose to watch a football game at the TV while drinking a nice frappe and eating a well made souvla. The park offers a perfectly secured area with only two exit gates that are easy to survey. 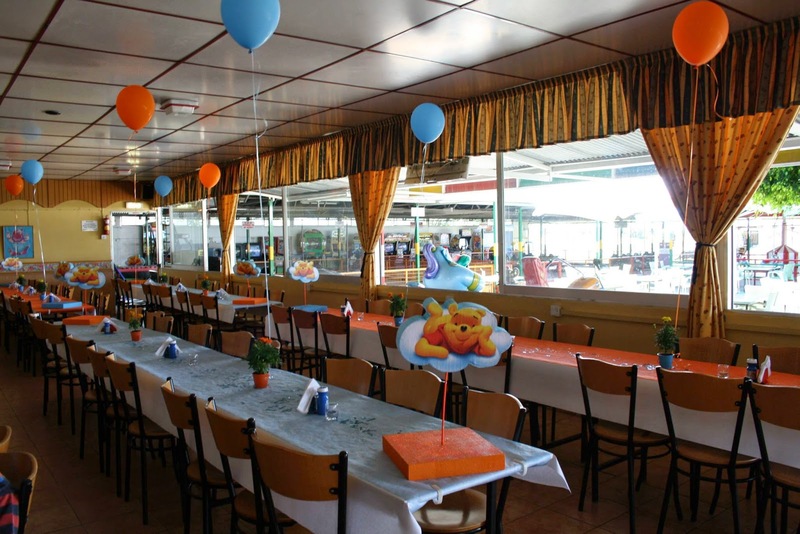 There is an atmosphere of laziness and relaxation, quietness and peaceful that will make parents wish to enjoy sitting at the tables in the shadow. Akis, Dina, Spiros and Anna the owners of the Park will make you feel like cozy … like in your garden at home especially after reading the menu and noticed the prices... the cheapest place to eat in the entire city Limassol. But children will be the ones winning the most from this visit. At Arizona Luna Park they will be happy to run form one ride to the other. From the Bumping Cars to the Singing Dinos, From the Train to the Blue Boat, from the Green Tank to the Basket Ball Game, from the perfect natural Papafilippou Ice Cream to the full plate of fresh salad and Cypriot beef pie... a full list of activities that will transform an usual day into a wonderful day. The best thing is that at Arizona Luna Park there is also a space for toddlers and babies covered with artificial grass they will enjoy walking, crawling, going up and down through tunnels and slides, riding on the caterpillar. For bigger boys there are: the Down Hill Bikers Ride, Motorbikes, Dragon Bikers, a fantastic pinball game a billiard game and much more. The girls will stay fit exercising on the Konami Dance Game. 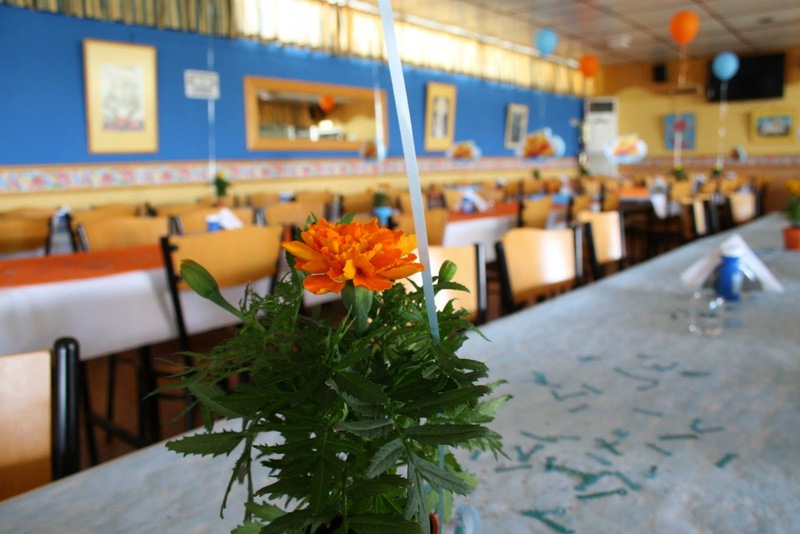 For those of you searching for a nice place for your perfect birthday party, this can be a good choice on your list. Everybody will end up spending a wonderful day with their children, by eating a perfect fresh inexpensive dinner and why not relax and have fun …. and don't forget the only Luna Park in Limassol that it is open until 23:00 every day of the week!